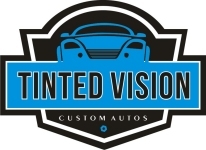 We are a window tinting company with 10 years experience, we also specialise in car audio e.g. head units, multi media, bluetooth and ipod kits. We also do carbon vinyl wrapping through our sister company Carkass wrapping. We also have access to our own body shop so everything is under one roof. 1st Oct 2016-1st Jan 2017 OFFER ! big thanks to tinted vison and ukpassats!!!! Just got mine back from Tinted Vision!